Received my first two (of five) SA 104 test field images. An area in Virgo near Porrima. Just showing the LUM filter image here. First attempt with the full size option. Worked fine. Good correspondence in the software. 180 seconds. North is down; east is right. NGC 4653 is the large spiral galaxy on the right. NGC 4642 is the canted spiral at the 1 o'clock position. 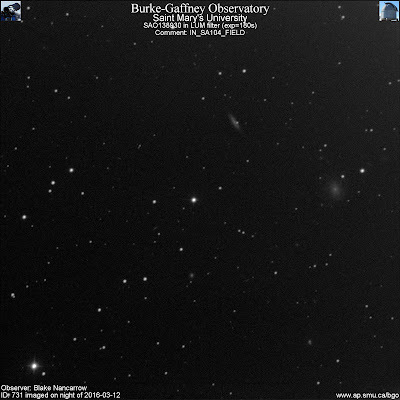 The oval fuzzy below centre is the lenticular galaxy PGC 42767. The little short streak at the 8 o'clock position is the edge-on spiral LEDA 91222. 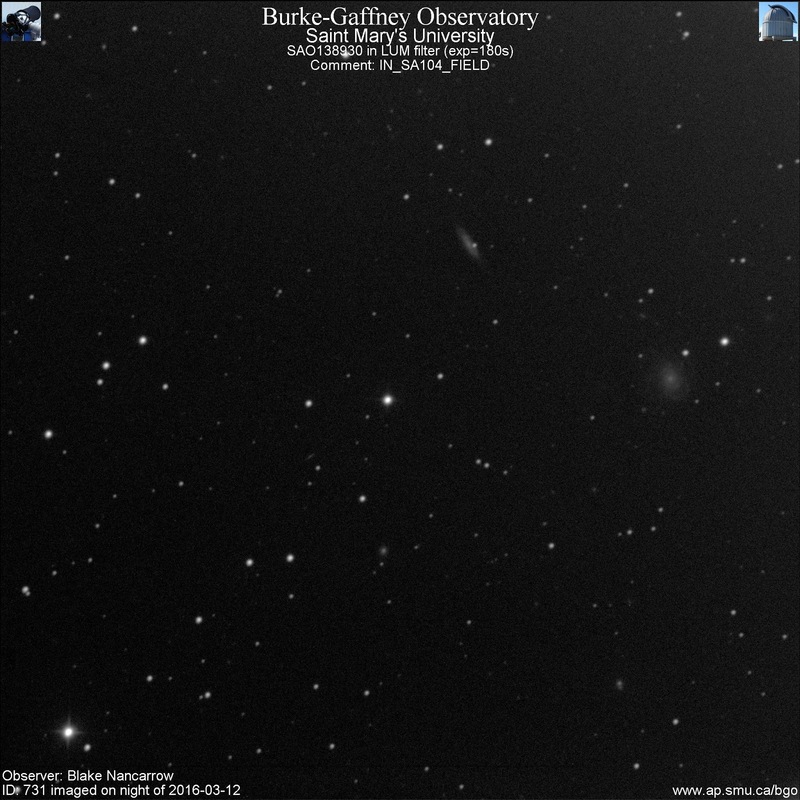 A number of other faint LEDA galaxies are visible. Neat.